Need a machine for attaching buttons? 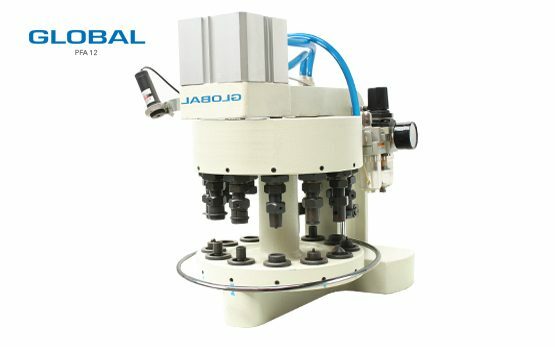 The Global Program includes three different Pneumatic Button attaching machines. These button attaching machines are used for a variety of applications, such as a machine for Pneumatic button attaching on curtains, canvases, leathers and jeans. The PFA 03 Pneumatic button attaching machine is a multi-head button attaching machine with a variety of different stamps, easily adaptable to your production. It is a really efficient machine to attach buttons and is easy to handle because of the compact design.